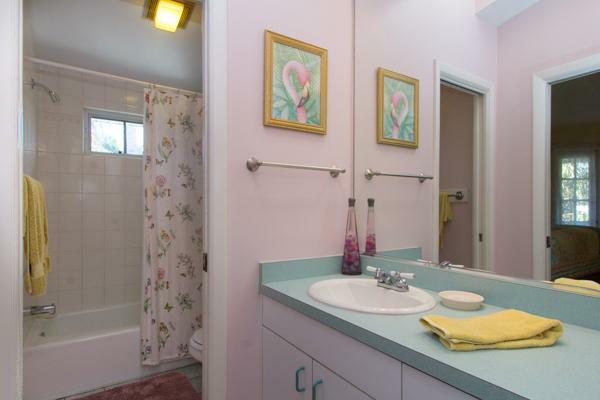 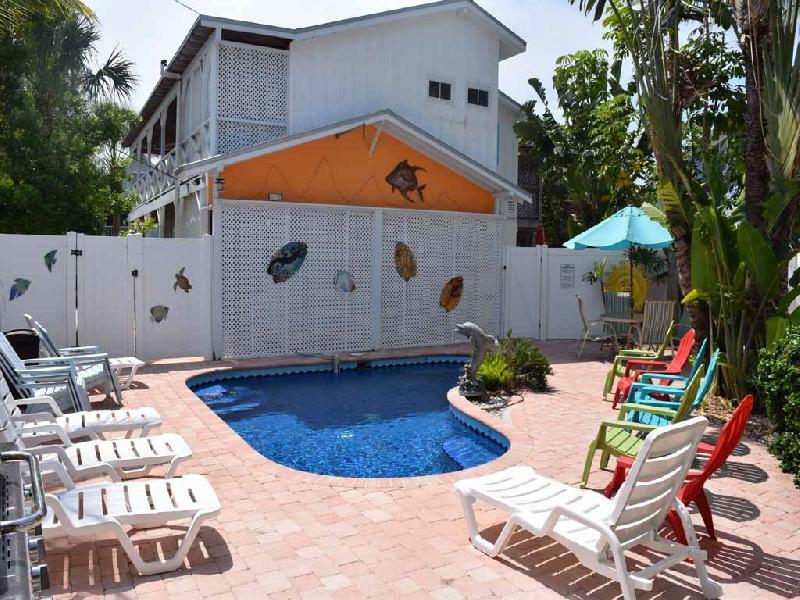 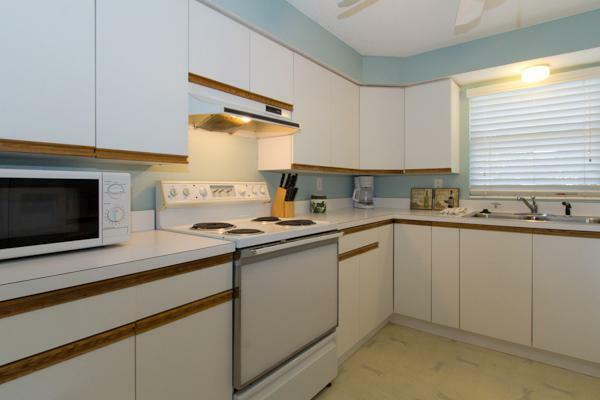 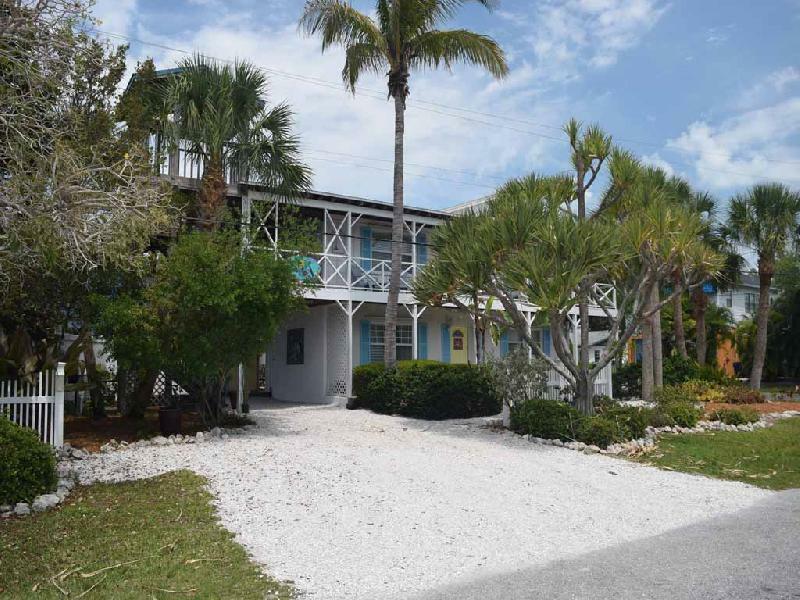 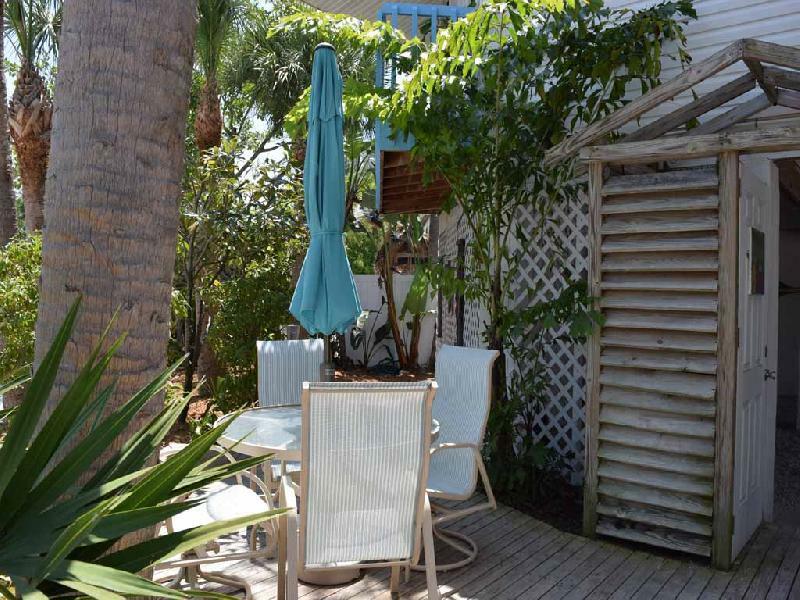 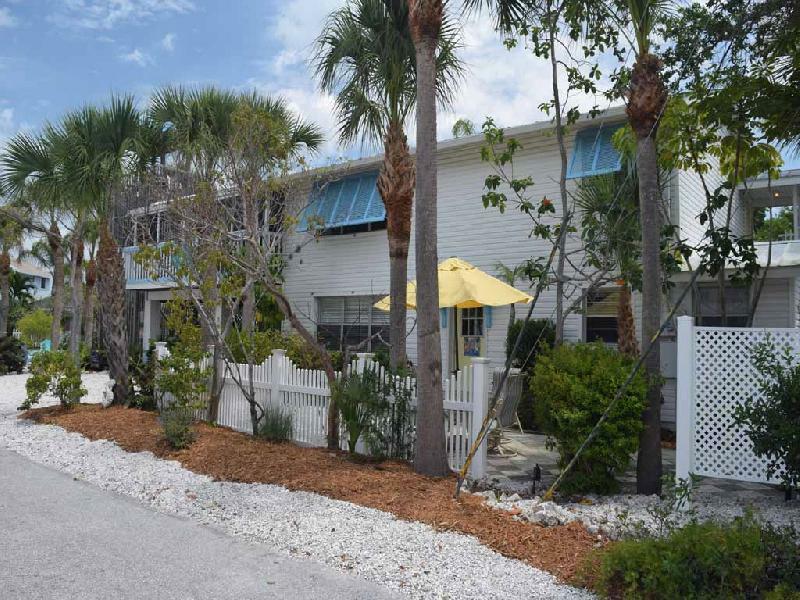 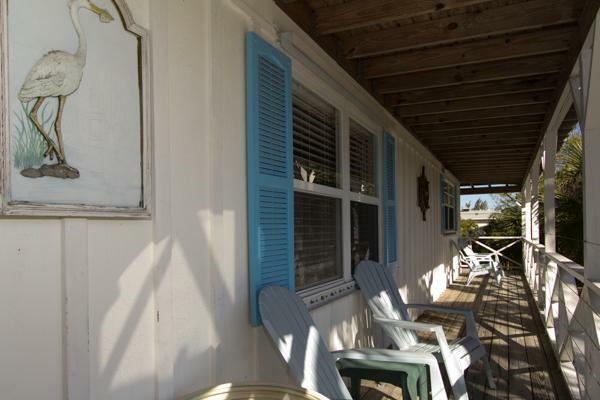 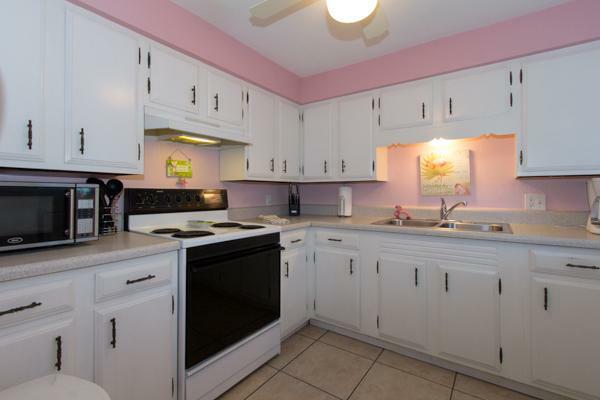 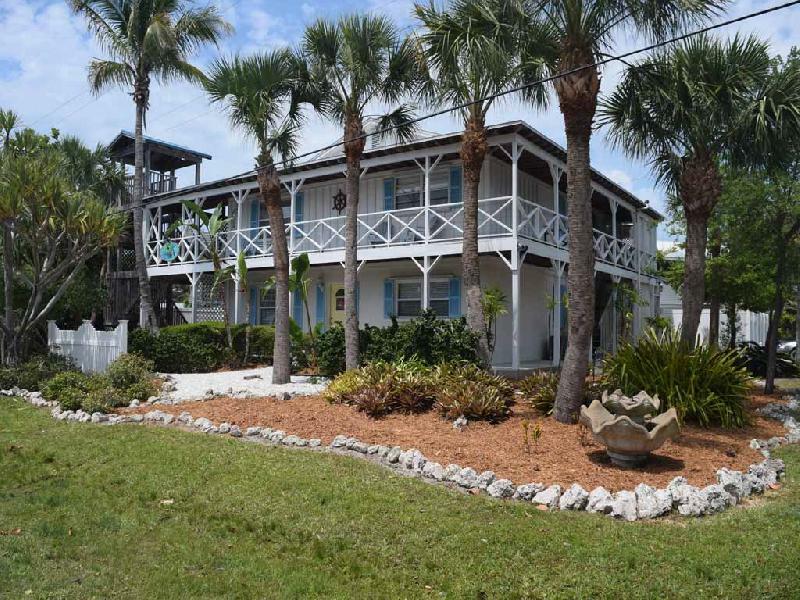 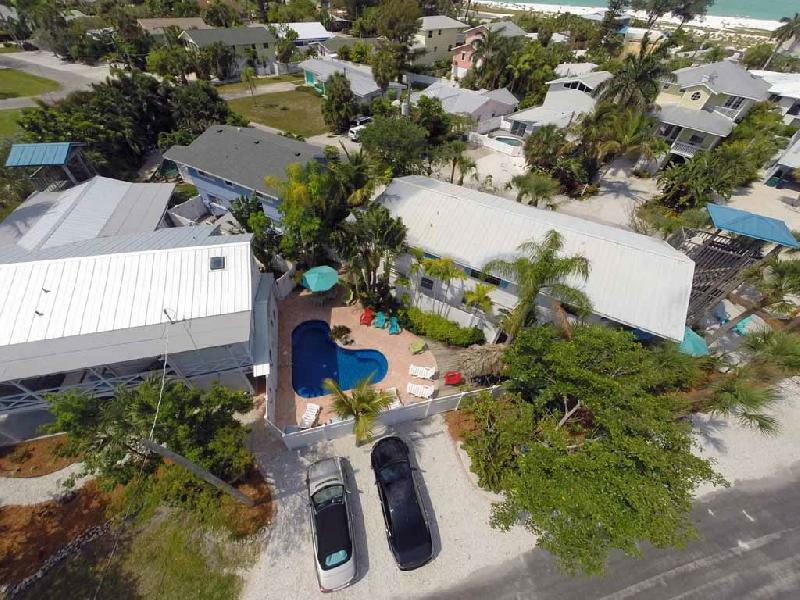 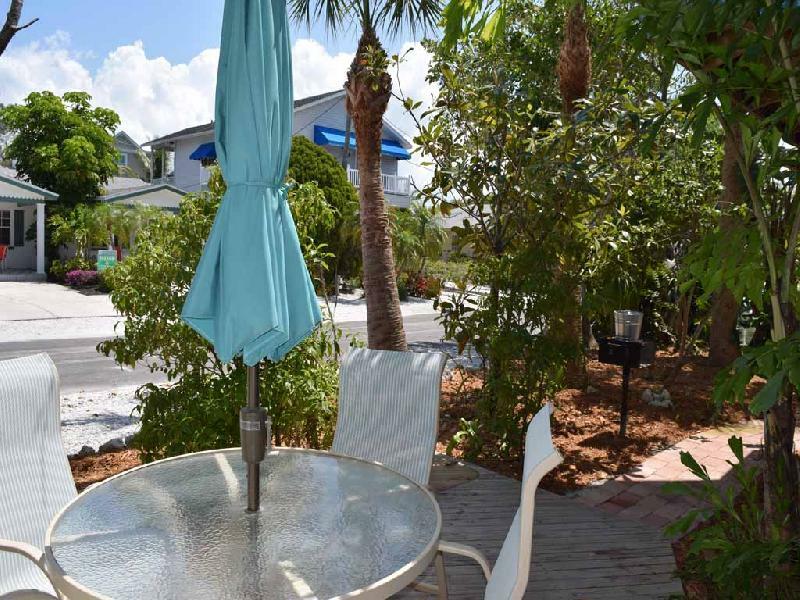 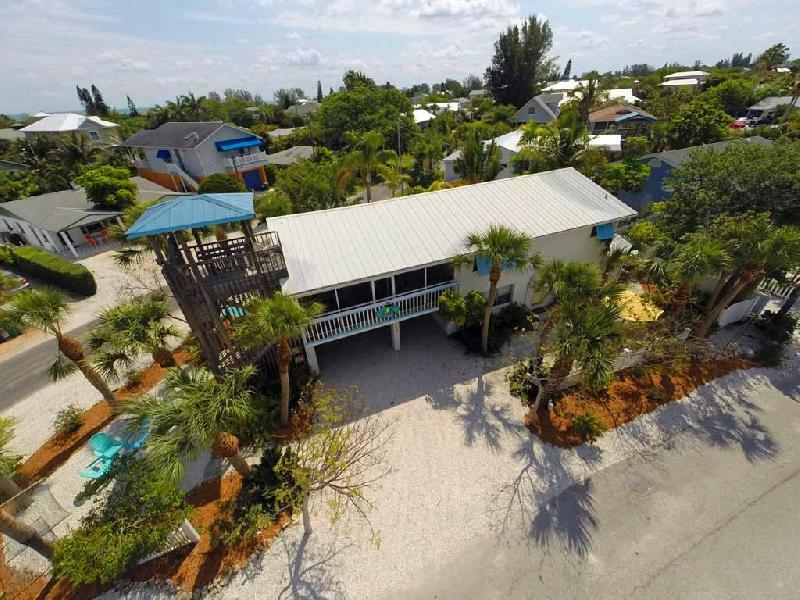 The Blue Dolphin Inn perfect for a large family reunion in Anna Maria features four units surrounding a tropical heated pool with tiki huts, grills, rooftop observation decks and loads of charm. 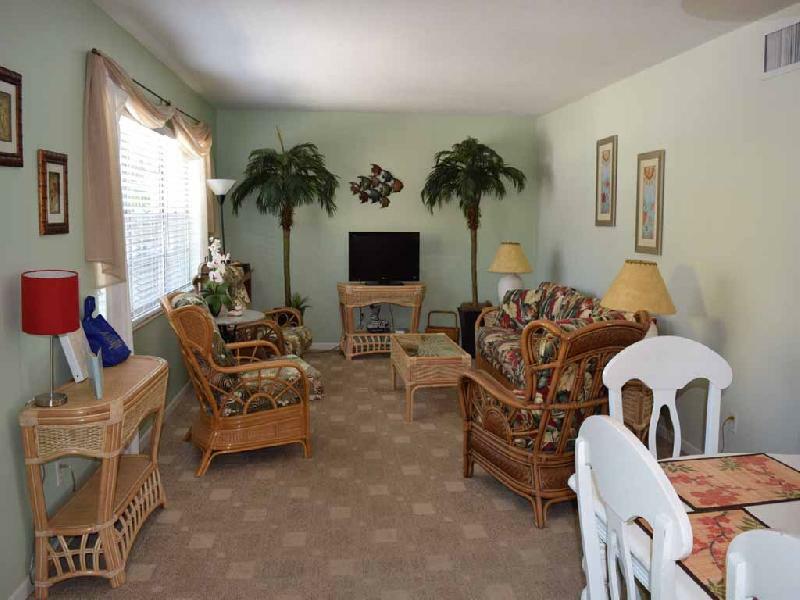 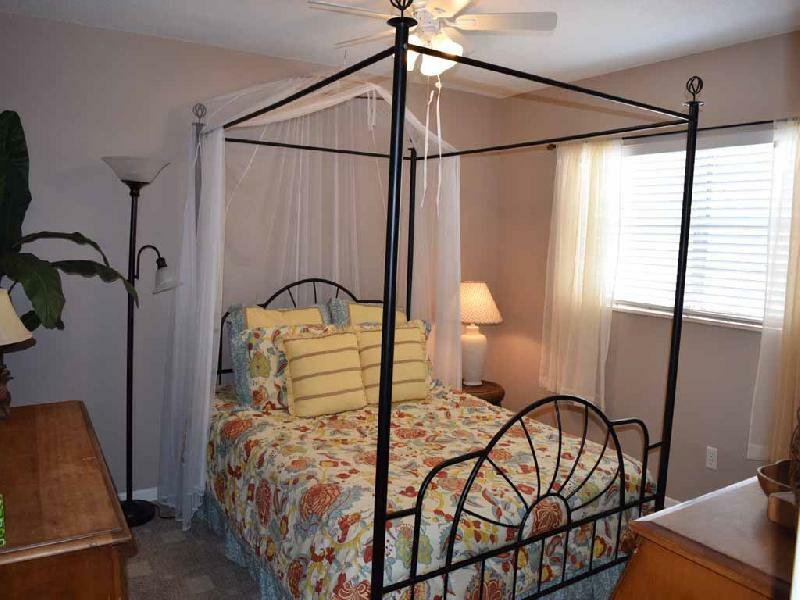 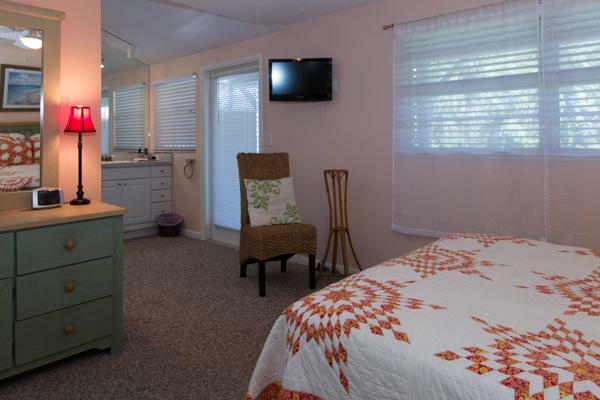 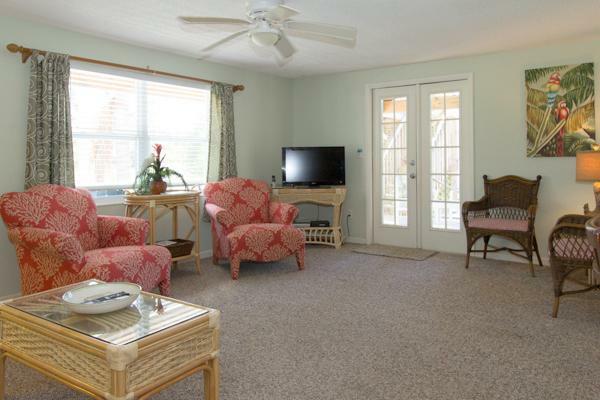 Each unit has its own private patio and charcoal grill for an evening of relaxation. 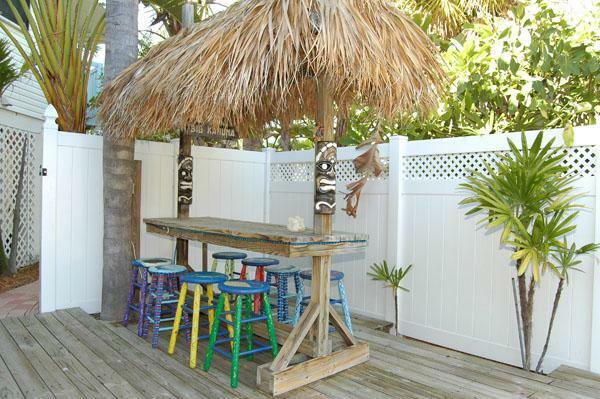 There is even a gas grill at poolside for your use. 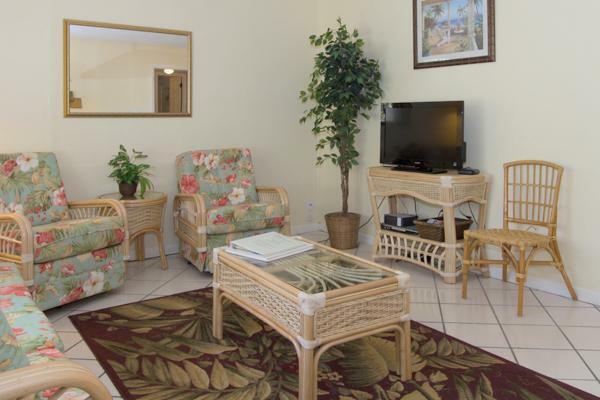 Every conceivable amenity is provided for your enjoyment and comfort. 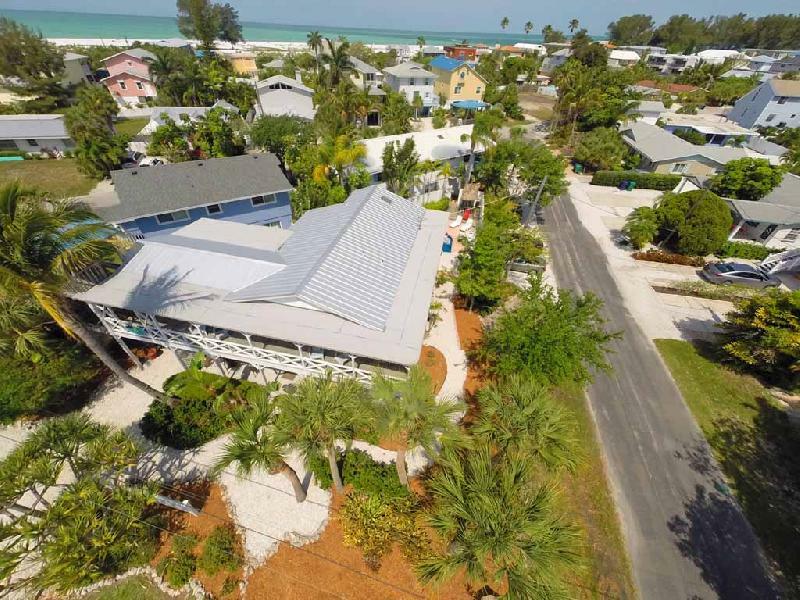 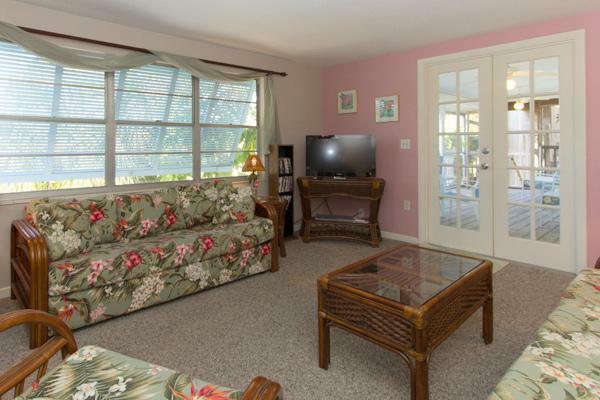 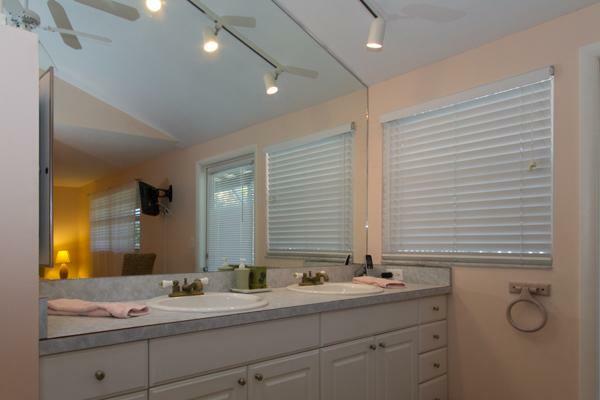 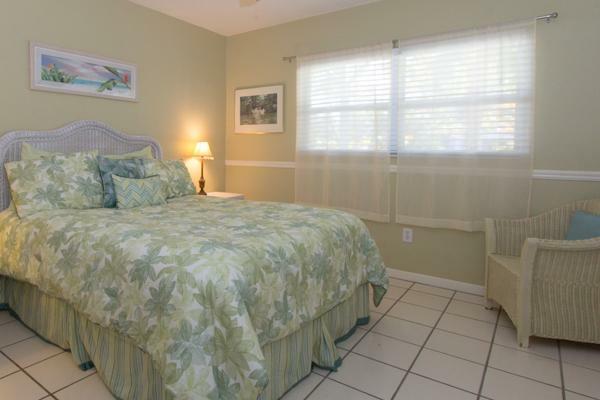 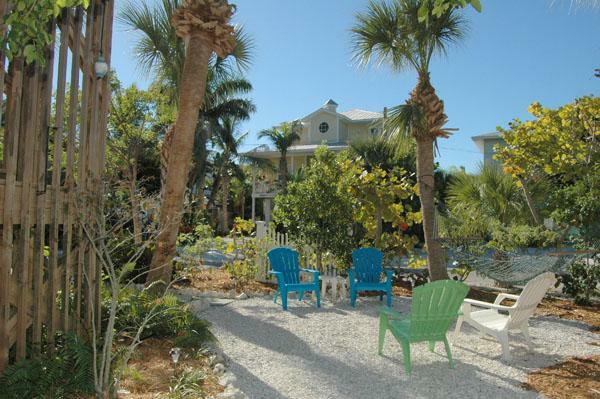 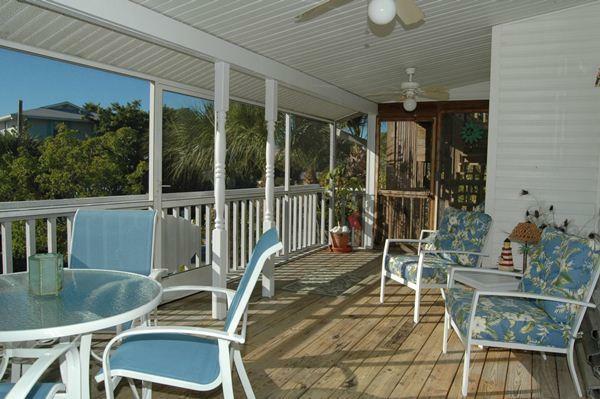 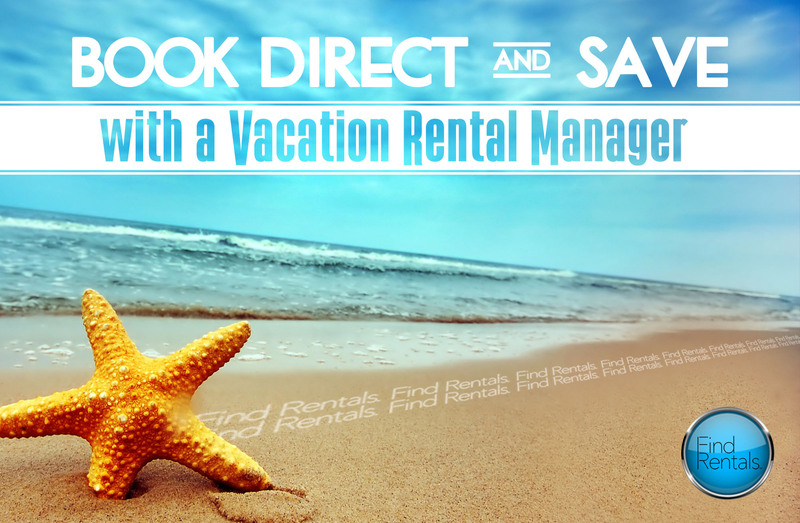 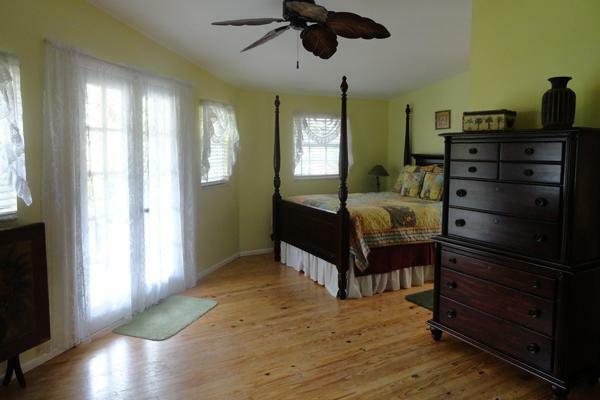 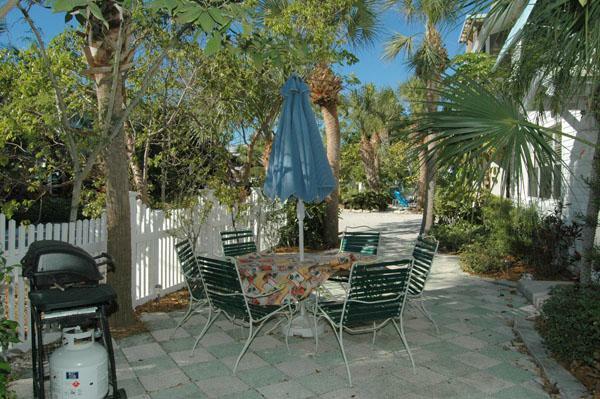 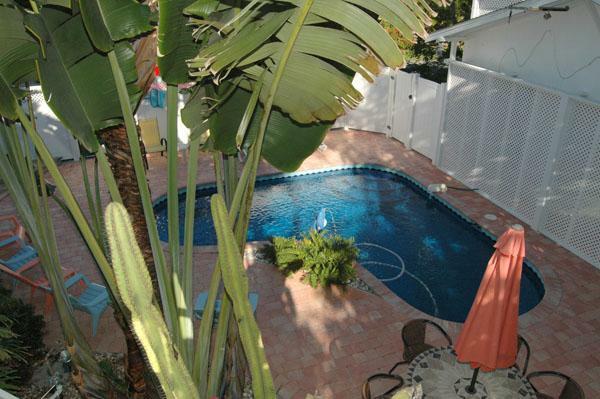 Book Direct with Island Vacation Properties your source for professionally managed vacation rentals on Anna Maria Island. 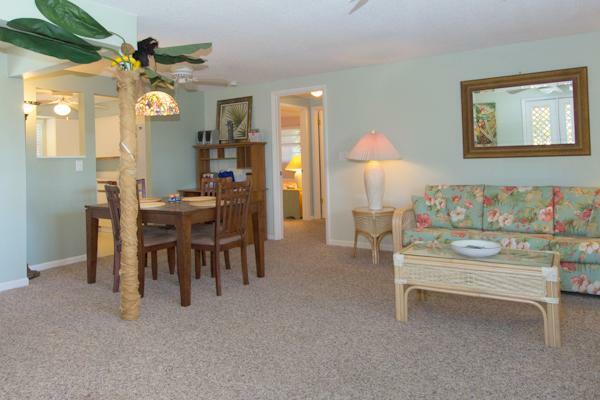 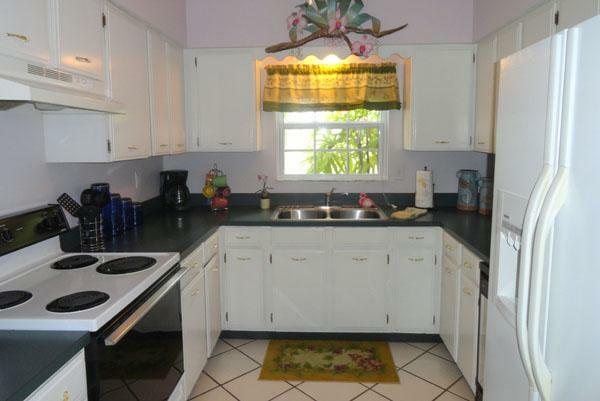 This complex offers the ability to vacation with 4 different families at the same location. 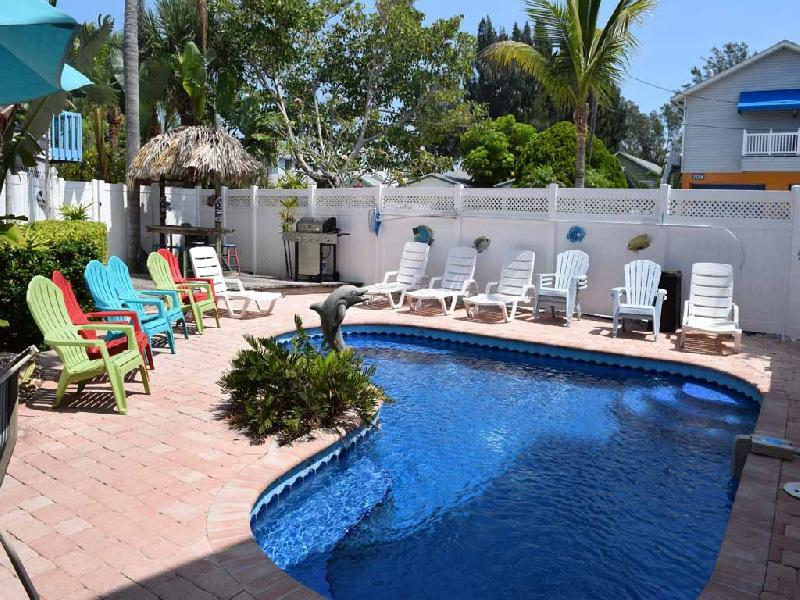 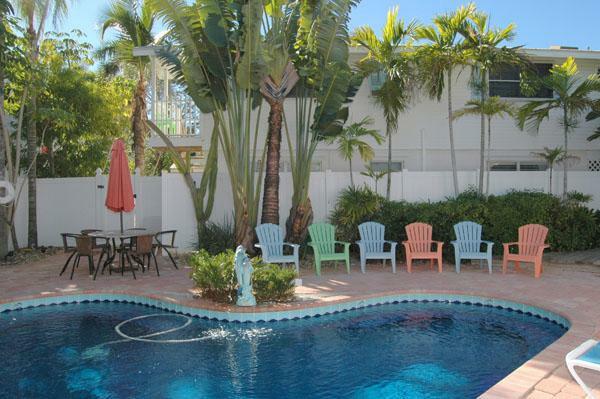 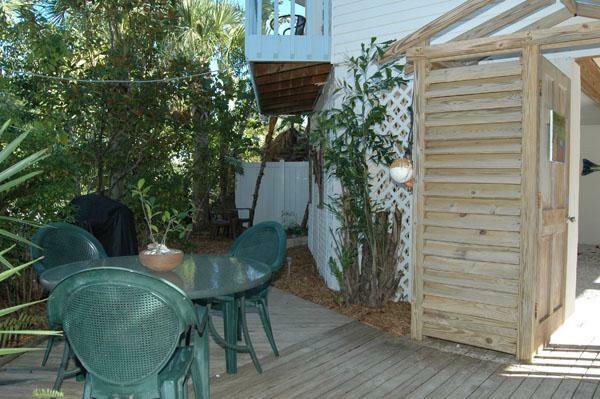 Just down the street from the beach with a heated pool the Blue Dolphin Inn Anna Maria Island, FL is a great choice for your next getaway.